Music Charts Magazine® welcomes Big Al Weekley and his radio show “The Big Al Bluegrass Show” for joining us for our 4th consecutive year celebrating International Bluegrass month of May 2015. 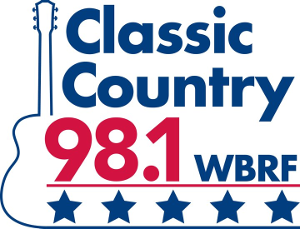 WMJD is a Classic Country formatted broadcasts radio station licensed to Grundy, Virginia, serving Grundy and Buchanan County, Virginia. WMJD is owned and operated by Peggy Sue Broadcasting Corporation. This past year Big Al Weekley has continued to grow his Bluegrass listening audience in leaps and bounds. In the fall of 2015 Big Al was promoted to Program Director of WMJD 100.7 FM (Grundy, VA) and 99.3 FM (Skeggs, VA). This allowed him to integrate more Bluegrass music into the stations Country music format. This has attained WMJD a larger audience and this has given Big Al the ability to educate people not only in Bluegrass music but also in Bluegrass history. He is also the Monday through Friday weekly morning drive time DJ. The Big Al Bluegrass Show continues to be syndicated on WOTR 96.3 FM (Weston, WV) and KRVN 880 AM (Lexington, NE). KRVN is the 50,000 Watt torch in the sky that covers the two western trucking corridors and has hosted The Big Al Bluegrass Show for close to two decades. 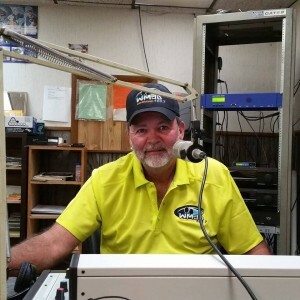 The Big Al Bluegrass Show on KRVN has garnered Big Al with many awards, many good friends and a very loyal listening audience to The Big Al Bluegrass Show in the western United States. In this past year Big Al Weekly was approached by the Grundy, VA local community theatre. He was asked if he would like to host a live radio show that he had recently started weekly on Thursday nights on WMJD. He is very involved in the local community. Big Al took the opportunity with open arms and they now have a live show once a month. This radio show is live music and a live crowd and consists of primarily Bluegrass music with also County and Gospel. It has become quite an event in the area and now is a packed house every month. Many local and known Bluegrass musicians have attended this live event and it is expected to grow even larger as time moves forward. Grundy is in the heart of the Appalachians and coal country so it’s a great spot for Big Al to be in. As always Big Al continues to be an asset to all of us at Music Charts Magazine® and our many endeavors. We are proud that he has already been nominated as one of the IBMA Top Five Bluegrass Broadcasters twice in 2003 and 2014.